In the midst of this moral wasteland, completely unprecedented in human history, there remain individual families and members of the pro-life and pro-family movements, who are still trying to be faithful. We are scattered. We are often isolated. We are hanging on by our fingernails. We are wounded. We exist. But what do we do we do? In her book,Adam and Eve after the Pill – Paradoxes of the Sexual Revolution, Mary Eberstadt, research fellow at the Hoover Institution, describes the teaching of Pope Paul VI in Humanae Vitae on the regulation of birth, published on July 25, 1968, as “perhaps the most unfashionable, unwanted, and ubiquitously deplored moral teaching on earth”. 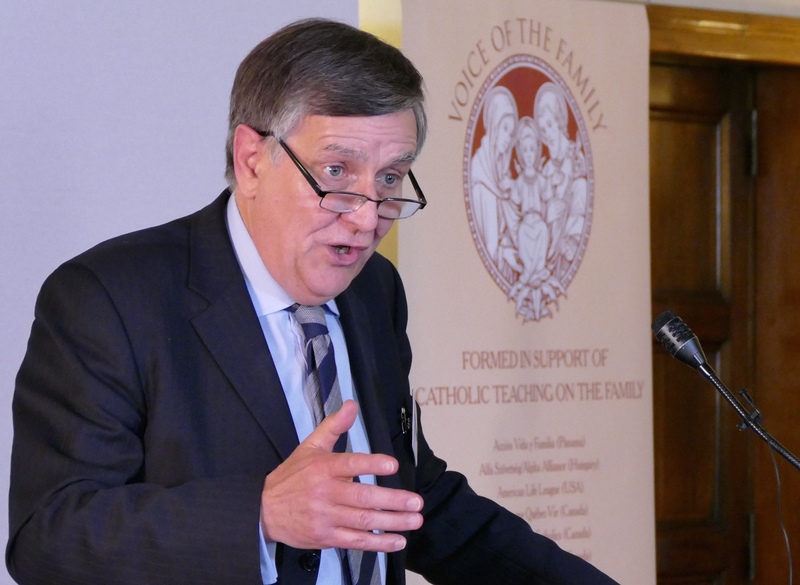 She then goes on to show that the teaching of Humanae Vitae is in fact the “most thoroughly vindicated” moral teaching on earth “by the accumulation of secular, empirical, post-revolutionary fact”. In this connection, Mary Eberstadt cites Nobel-Prize winning economist George Akerlof. In a 1996 article in the Quarterly Journal of Economics, Akerlof explains “why the sexual revolution, contrary to common prediction …[has] led to an increase in illegitimacy and abortion”. Mary Eberstadt in Adam and Eve and the Pill also says: “The years since Humanae Vitae have … vindicated the encyclical’s fear that government would use the new contraceptive technology coercively”.